This laptop is well balanced with the mid-range configurations. It manages to stay portable while offering a usable screen, decent performance, and acceptable battery life. The ThinkPad T460, which will soon be replaced with a Kaby Lake version, has a brighter, more colorful display, longer endurance and a better keyboard. However, if you're looking for a powerful, well-made business laptop, the Latitude 5480 should be near the top of your list. Just make sure you get the extended battery. 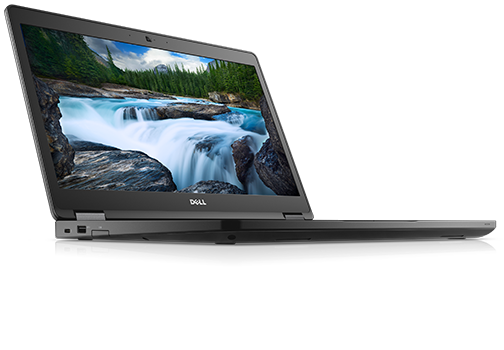 The Dell Latitude 5480 excels in many areas for business use. It’s rugged enough to stand up to daily business travel. It offers a shopping basket's worth of optional security features to match the level of security your organization desires. And Dell offers a wide range of configuration options to match your office’s budget, from a Core i3-based model that starts at $769 to our quad-core powerhouse that nearly hit the $2,000 mark. Thankfully, no matter which model you choose, you’ll take home a laptop with a very good build quality and the latest CPUs from the top to the bottom of the stack. 1.776 kg: Viktklassen är vanlig för ultrabooks och lättviktiga, större bärbara datorer med en skärm på upp till 16 tum. 76.38%: Det här betyget är inte övertygande. Den bärbara datorn har fått ett lägre betyg än vanligt och är därför svår att rekommendera.